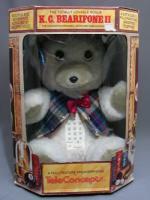 Extremely rare K.C Bearifone II with the orginal box and accessories. Kellogg E2 Handset Handle for use on Redbar phones. Kellogg Masterphone 1000 (aka Redbar). 1947- 1953. Usable on modern phone lines. 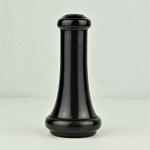 Fully refurbished original Kellogg model 44 candlestick with dial. 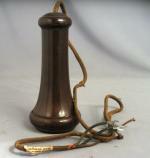 Original Receiver made by Kellogg for candlestick telephones. 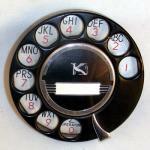 Kellogg ringer for use in 1000 Masterphone Redbar. Responds to 20hz ringing frequency. 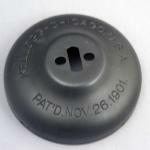 Transmitter cap for use on Kellogg E2 handsets. Early high profile Kellogg transmitter cap.Used with the transmitter ring.